When disaster struck Nepal in the form of a devastating earthquake, many hands from around the world lend their support to the country and its natives. People at Medi BizTV and Aries Group of Companies joined the cause with World Medical Council and decided to extend support by means of donating one day salary for the rehabilitation activities in Nepal. The initiative was set as part of WMC's One Day Salary Challenge Campaign and every employee participated had challenged at least two of their friends to donate one day salary. The campaign, which is in the likes of Ice Bucket Challenge became an instant success and the organizers were overwhelmed by the responses received from all parts of the globe. However, three employees of Aries Group of Companies had an idea which was marked by good intentions. 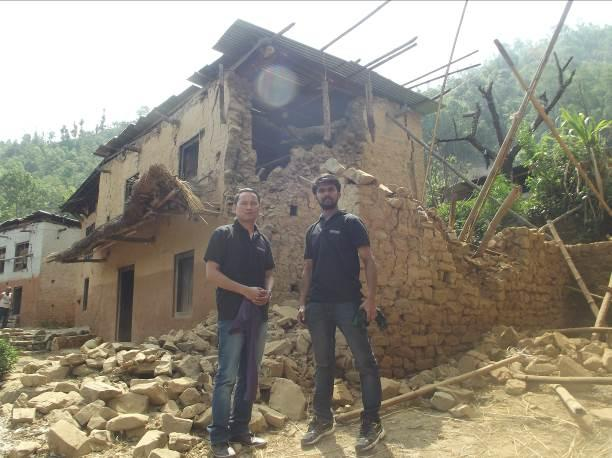 Shyam Kurup, Sinseer Mohammed and Dhan Bahadur Lama, the trio felt the need of a personal visit to the earth quake stricken Nepal and to lend their hands to support the needy ones. In the beginning they had no clues on where to begin or what to do. They followed their inner voices and headed to Kathmandu. Once they reached the capital city, a handful of experiences were waiting to greet them and they never realized that it may change their perspective towards life forever. Their initial visit was to Pokhra and the place was moderately affected by the earthquake. But there they got a clear picture of the scenario of the earthquake and its aftershock. Sr. Regina C.J and other sisters at the St. Mary’s Higher Secondary School briefed them on the need of helping people of remote villages. The trio thus understood that there are so many remote places in Nepal affected by the earthquake and due to the lack of a proper transportation facility; the people are not getting enough support from the relief workers. On behalf of Aries Marine, Shyam and his team offered scholarship for the children who became homeless after the earthquake. The journey to the next destination, Sikhar Ambote was rather eventful. Born and brought up in a place where developments see a new high every day, Shyam and Sinseer could not imagine of a place as remote as Sikhar Ambote. While they were thinking on how to reach the place, a social service organization called ‘We Dharane’ helped them to do so. 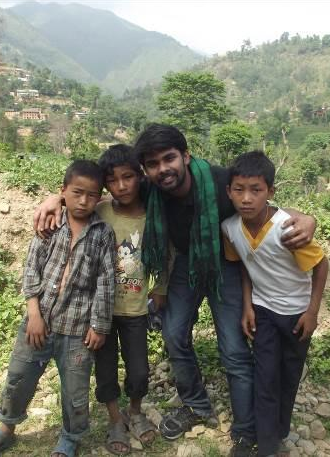 Based in Dharan, Nepal ‘We Dharane’ is a nonprofit organization that has been actively participating in rehabilitation and relief operation since 2010. 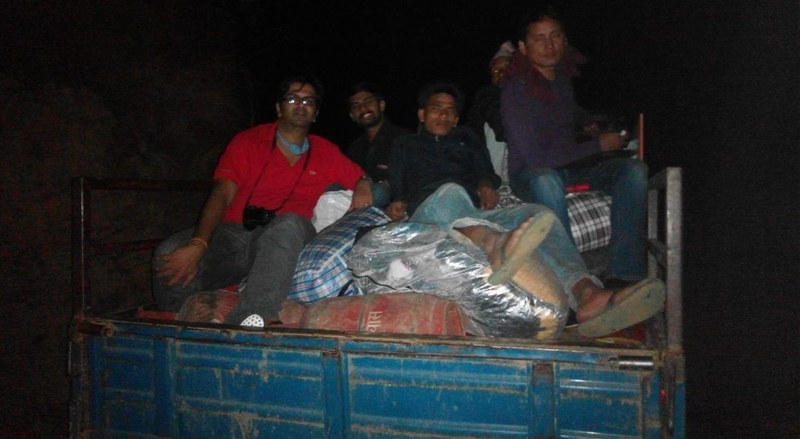 They decided to associate with ‘We Dharane’ volunteers and the coordinator of the organization Kwan Rai offered lift in a truck that was going to Sikhar Ambote. 70 kilometers drive. That too on a road which someone seemed to have dug up and forgotten all about. They could feel the tremors of earthquake on their way to Sikhar Ambote. They were getting used to it. Once they reached the place, the sight was so heartbreaking. Not a single house is spared by the massive earth quake. 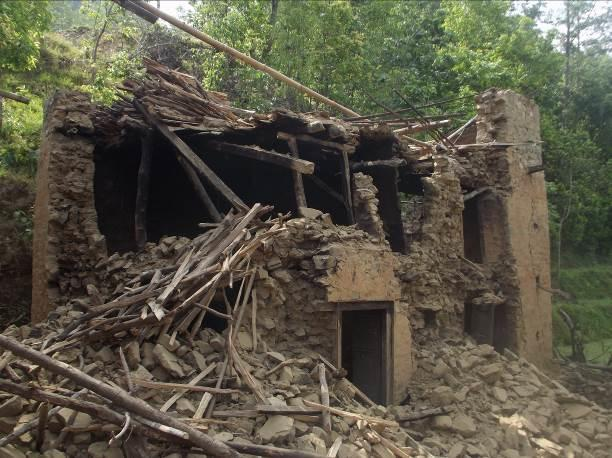 Many were destroyed completely and people are afraid to stay in partially destructed houses as aftershocks becoming a routine to them. When people from Aries Group reached Sikhar Ambote, there was no team of relief workers there except Nepal Army. They understood that their decision to select this remote village was absolutely spot on. Sikhar Ambote consists of 9 settlements and their leader Tamang said that the entire village was demolished and it may take weeks to restore electricity in those parts. 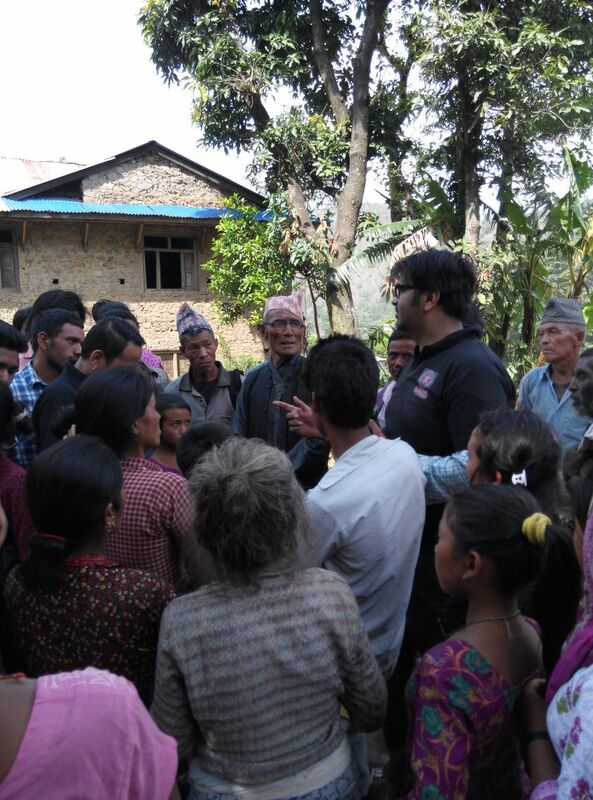 Out of the 850 houses destroyed, Aries Group gave financial assistance to rebuild 200 homes and Shyam, Sinseer and Lama volunteered to participate in the disaster relief work along with the natives and ‘We Dharane’ activists. Four days. They knew it was not enough for a rehabilitation activity. But they tried their maximum to help the needy. And they felt happiness inside. Seeing the disaster struck- yet courageous people of Sikhar Ambote, a sense of positive energy was instilled in them, to get the best out of each day. While travelling down, they realized that the past ninety six hours they spent at one of the remotest village in Nepal is good enough to keep their spirits high for thousands of hours to come.